In Hong Kong, lawmakers voted Wednesday to ban the sale of ivory [by 2021] — a move hailed by some animal rights campaigners as a major step toward protecting elephants. This will show the commitment by Hong Kong government towards conserving the African elephants. 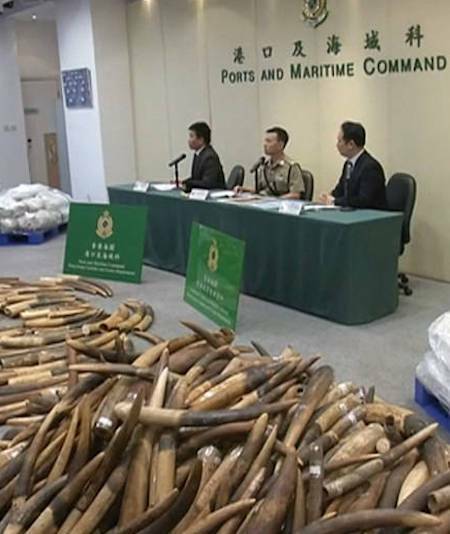 What is needed next is, step up the enforcement to make sure that there will no longer be any illegal trade into Hong Kong or through Hong Kong. Hong Kong is the world’s largest market for ivory sales. Its ban came one month after authorities in mainland China adopted a similar prohibition. Far from Friends of Animals applauding Hong Kong’s promised ivory sale ban three years from now, the real issue is whether elephants have any future at all and will even be around in 2021.